We just love this smarty! 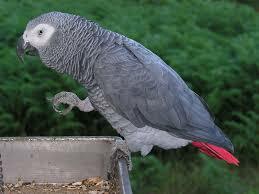 African Grey Parrots are amazing; they have been known to learn colors, numbers and other tasks. They are long lived and highly social! 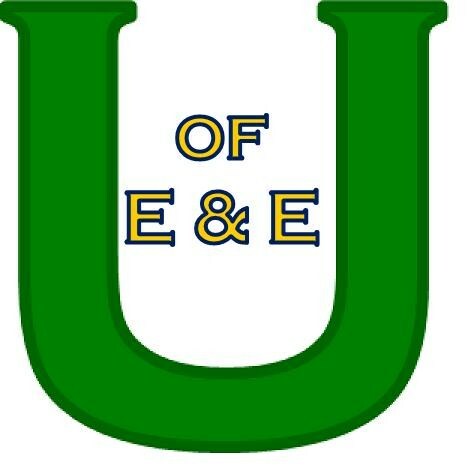 Come learn more about them! 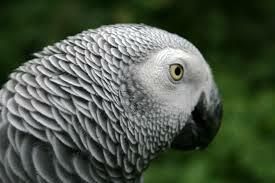 • African Grey Parrots are highly social birds that live in flocks. • There are two subspecies (types) of African grey parrots: the Congo, who is larger and has a bright red tail and the Timneh, who is smaller and darker and has a maroon tail. • When flying in large flocks African greys call to each other and communicate by flashing their bright red tails. • They have a long life span. They can live up to 60+ years. • They are highly intelligent and have been compared to human toddlers. • African greys are highly vocal and are amazing at mimicking sounds and language! African grey parrots are very special birds! They’re very smart and social, a great combination! If you could teach a parrot to say one thing, what would it be? Ellie would teach him to trumpet like her! 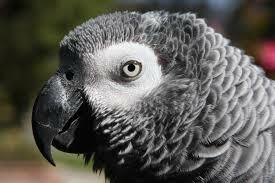 Alex the African Grey was a very famous parrot who could things we never thought parrots could do! Check out this short video! Unfortunately, Alex passed away, but The Alex Foundation continues research to show how smart parrots really are! I would teach my parrot to say, “Do you want a treat?” And then I would teach him to open my cookie jar and throw treats down to me. I need a parrot…..